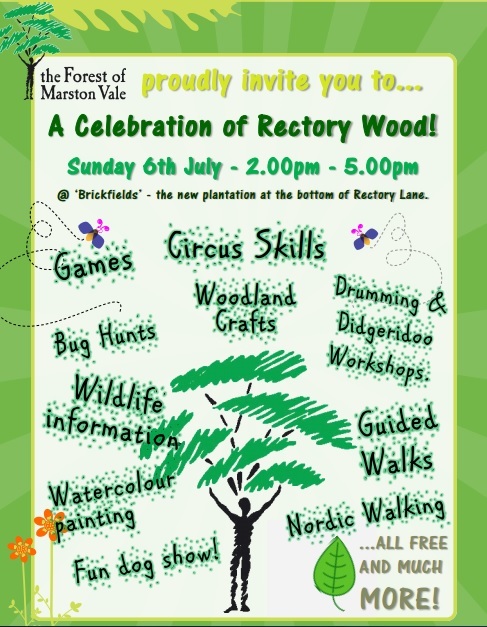 Celebrate the final year of (a 10 year) planting at Rectory Wood, Cranfield with live music, games, entertainment and more – all from the local community of Cranfield. This entry was posted in Blog, Local walk, News. Thursday 28th August 1-2pm – Meeting about next year – we need you!! !